One of my blogging goals for 2016 is to get the “business” side of blogging more organized. I have post-its and notes to myself everywhere, reminding me of things like what giveaways I am participating in, what sponsored posts need to be written, what sponsored social shares need to be posted, and what posts/ social media campaigns I am waiting for payment from. There is so much to keep track of, which is why I am designing a series of free blog planner printables to help keep everything organized. I picked up a 1″ binder and a 3 hole punch which I am using to place all the blog planner printables together. The end goal is to have a “2016 Blog Planner Binder” where everything I need to note, track, etc… is all in one, easy to access, place. As 2015 was the first year I began to monetize my blog, I found it difficult to keep track of which networks and companies hadn't paid me for services yet, and when I should expect to be paid. I found myself constantly going back and checking the date I finished a campaign and when the particular network pays out. Some networks pay weekly, others monthly, others net 45, etc… which makes it very difficult to keep track without some organization. That is why I created this sponsored post payment tracker, which is designed to keep track of payment for completed sponsored posts and social media campaigns. 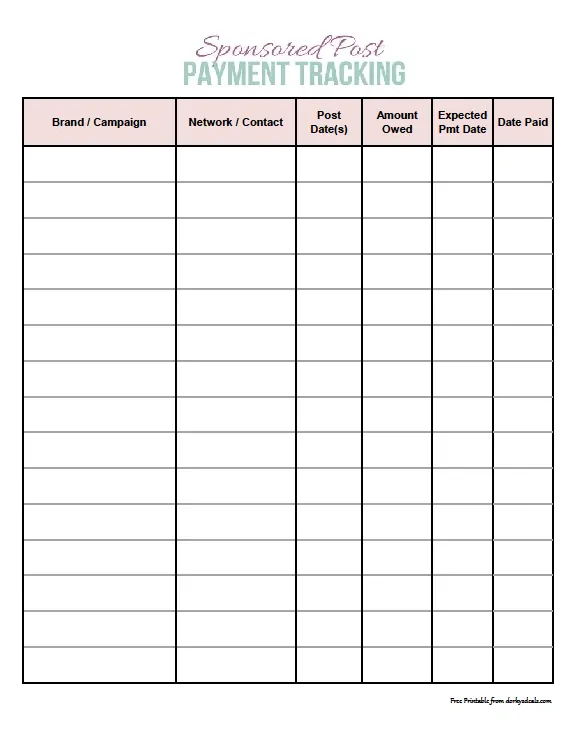 This sheet makes it easy to track the work you have completed, who it was for, how much you are owed, when payment is due, and when you actually get paid. Any outstanding payments can be seen with a glance, which serves as a reminder to touch base with the network or your contact. 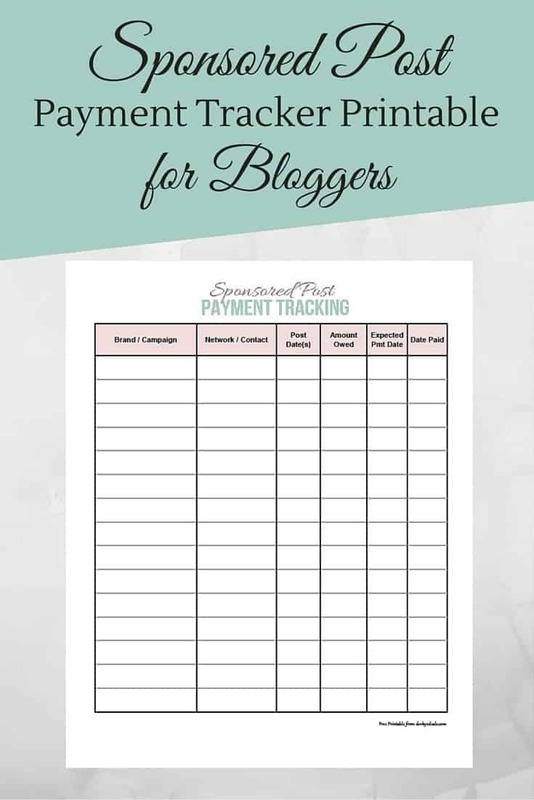 Click below to download your free Sponsored Post Payment Tracker blog planner printable. I hope it helps you to stay organized in 2016. 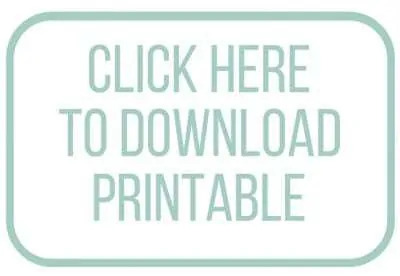 If you have any ideas for a blog planner printable that your would find helpful, I would love to hear them in the comments below! Being able to write out what needs to be done and see it I at a glace is a must have for blogging!! These are amazing pages for a blog planner! I am still working on making mine up for 2016. This is perfect! I keep one very similar to this that I downloaded from another site. I really like yours, I plan to print it and use it instead. So great to keep track of these. It is easy to get lost in the shuffle and miss a payment! I’m still not making much but do need to keep up with things better. Thanks for providing this to us. Printing it for my notebook now. This is so great! I’m going to print this now. I am good at tracking, but for things that I don’t need to generate invoices for, I don’t have a place to record them. This is perfect. As a blogger that takes sponsored posts, this looks super useful! One of my goals this year is to start being a lot more organized as a blogger-I need to step up my game. Thanks for creating and sharing this! Blogging can quickly take over your life, and having a way to track everything is so important. That’s definitely a helpful printable for those who get a lot of sponsored posts. At this moment, I do not. However, I do a lot of reviews and would like to have a similar set-up to remind me where I’ve received items from, and when I need to turn in my review. Organization is key for any organization!! You can also create this in Lotus or Excel & create total columns and/or cells. You wouldn’t have to add or subtract, etc. Just put in the figures and the rest will be done for you!